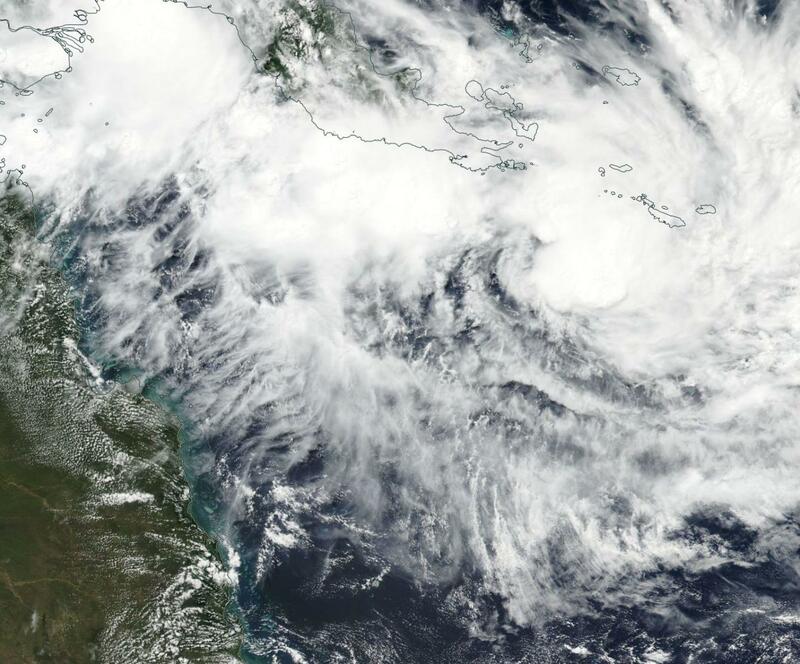 On April 11, the remnant low pressure area that was Tropical Cyclone Iris was moving through the Coral Sea. The Visible Infrared Imaging Radiometer Suite (VIIRS) instrument aboard NASA-NOAA's Suomi NPP satellite captured a visible image of the storm. The VIIRS image showed a better, more organized circulation center with consolidating banding of thunderstorms wrapping into a well-defined low level circulation center. The image was created at NASA's Goddard Space Flight Center in Greenbelt, Md. At 5:30 a.m. EDT (0930 UTC) Iris' remnants had maximum sustained winds near 28.7 mph (25 knots/46.3 kph). The center of circulation was near 12.4 degrees south latitude and 151.8 degrees east longitude, approximately 436 nautical miles northeast of Cairns, Australia. Iris' remnants are forecast to turn toward the southwest. The Joint Typhoon Warning Center (JTWC) noted that some computer forecast models predict Iris will regenerate in a couple of days. That would mean a second re-birth for Iris and tropical cyclone status for the third time.